Last night I posted a recipe for Asian Style Cabbage & Noodles. It was something that I threw together with some vegetables I had on hand and thought it turned out really well. 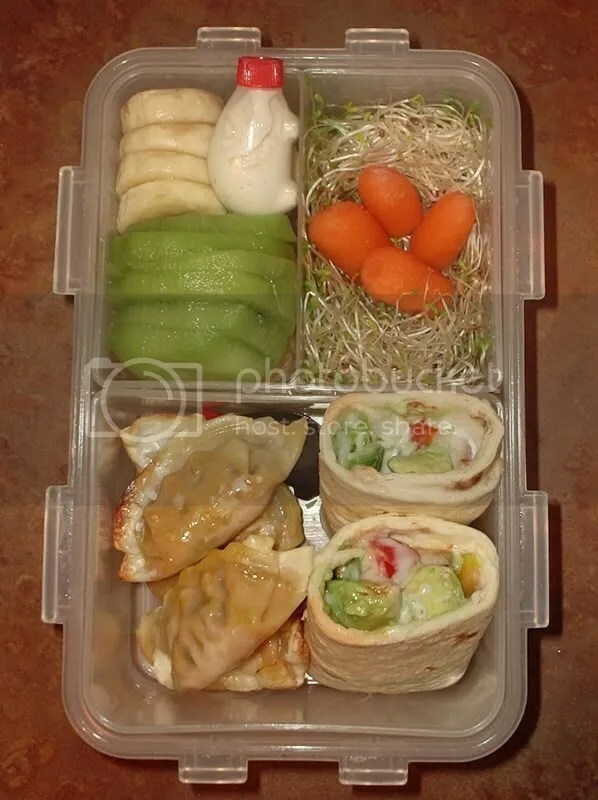 But now it’s time for the whole bento. I didn’t have my bento supplies with me, so I had to use the arrangement of the foods to make it appealing and I think it works. 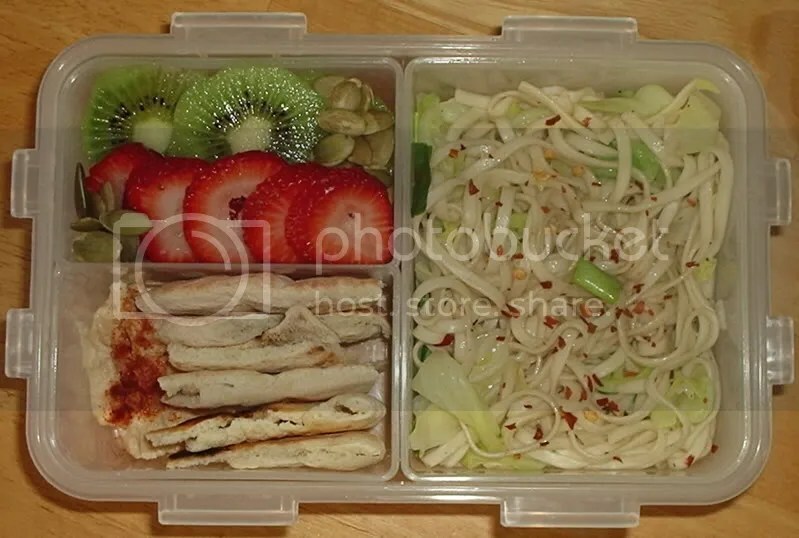 Of course you can see the asian noodles and cabbage, then on the left we have a half of pita tore into bite sized chunks with some hummus, and some sliced strawberries and kiwi with raw unsalted pumpkin seeds. I never knew pumpkin seeds were so healthy until recently. My friend did the Master Cleanse and wanted some pumpkin seeds for when she was done so I checked out the health benefits. Two of major things pumpkin seeds have in them is zinc and magnesium. In 1/2 cup of pumpkin seeds you get 92% of your daily magnesium. They taste somewhat like a sunflower seed but larger. Personally I prefer the taste of almonds or walnuts, but they’re a nice snack and aren’t as expensive as nuts. 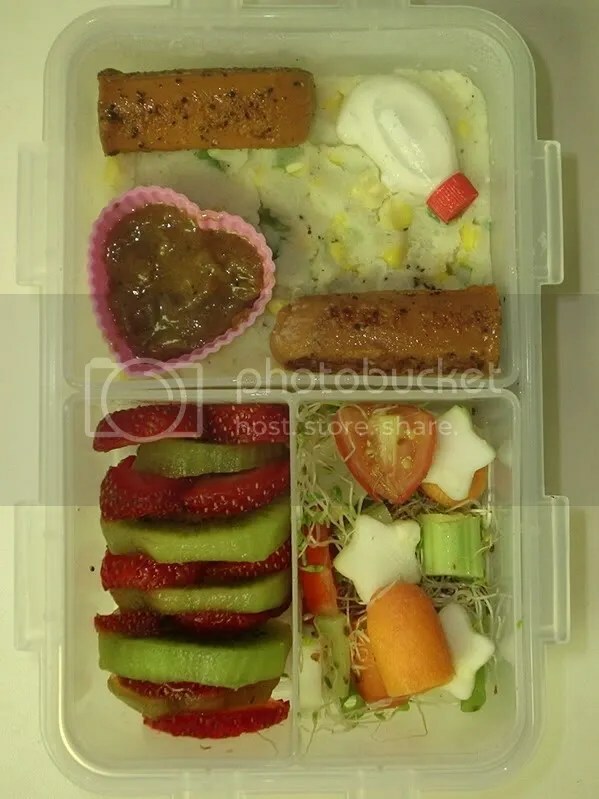 I also entered this bento in a competition, click here to check it out.